Anne holds a German law degree and an LLM and PhD in European Union Law from the University of Sussex. She is a Lecturer in Law at The Open University and has taught at Coventry University London Campus and the University of Sussex. 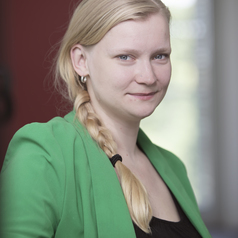 Her PhD research focuses on European Union citizenship and in how far it functions as a constitutional right giving particular consideration to Court of Justice of the European Union case law. In the wider sense, she is interested in comparative research engaging with the UK's constitutional framework and that of continental Europe, with a particular focus on Germany.